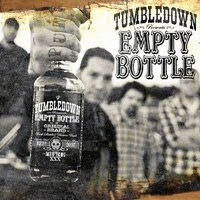 Tumbledown Trivia: What three Texas cities are named in Tumbledown's song titles? Keep in mind, they've got two full length albums, a live album and an EP, so it shouldn't be too hard to find. So again, once you've got the answer, email me at mysocalledsoundtrack@gmail.com with your answer, your name and your address. Don't worry, I promise not to sell your info to any magazine subscription services unless the price is just too good to pass up. Just kidding of course! My So-Called Soundtrack promises not to sell or give your info to any third party, blah, blah, blah. Tumbledown will actually be doing an international release for "Empty Bottle" early next year, so unfortunately this giveaway is only open to the United States. Thanks for checking though!